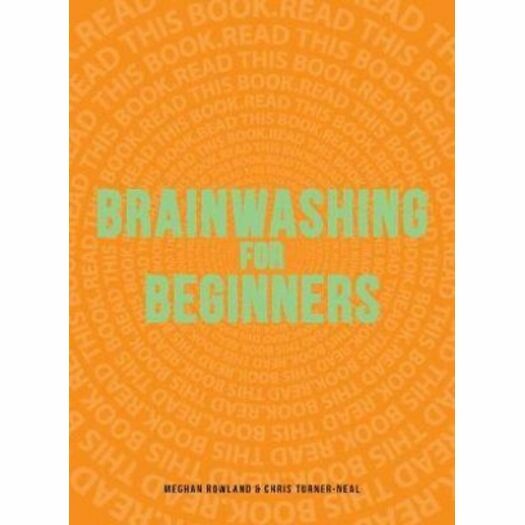 Brainwashing For Beginners : Read This Book. Read This Book. Read This Book. Readers, buy this book. You will never read a book that is this important. You will care for this book as if it is your own child. You will feel overwhelming anxiety and nausea without this book. You will no longer need any other entertainment after buying this book. You will buy this book for you and your friends. Readers possibly will not be manipulated by the above sentences. However, this humorous guide will provide these inexperienced, future mind persuaders with the tools and techniques of the brainwashing trade to achieve their most immediate life objectives. Readers will learn how to: ? Place subliminal messages to get ahead at work ? Manipulate friends to believe your viewpoints; ? Repeat phrases until they are jarred into their families' thoughts ? Use Pavlovian reinforcement to persuade significant others to do housework. ? Use paranoia to eliminate enemies With "Brainwashing for Beginners", readers will convince and convert the world around them today. Buy this book. AUTHOR: Megham Rowland and Christ Turner-Neal are the authors of the Misanthrope?s Guide to Life and theaward winning comedy blog 2birds1blog.com When not writing they enjoy democracy, baseball, their mothers? apple pie and reporting the names of their former comrades to the proper authorities. They have never been so happy.